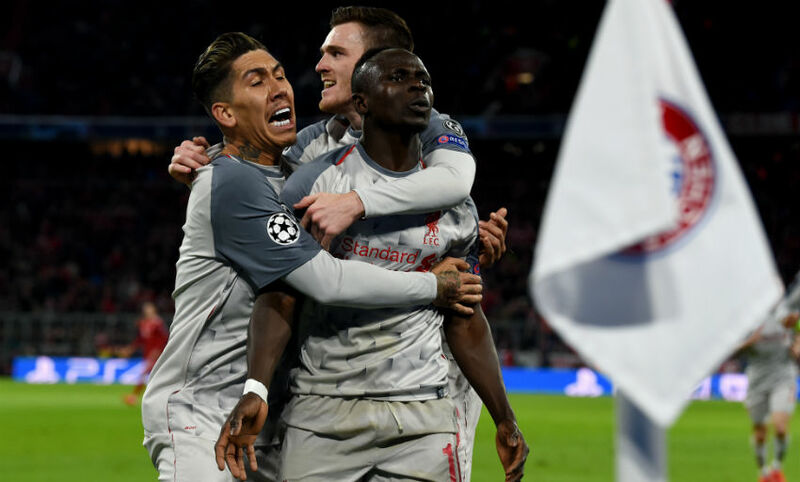 Jürgen Klopp declared Liverpool's emphatic 3-1 victory over Bayern Munich a 'big step' in the team's development as they surged into the quarter-finals of the Champions League. 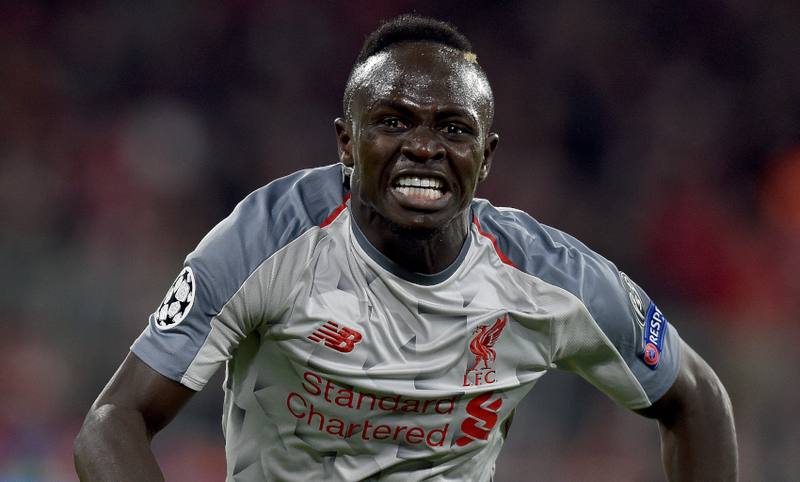 After a goalless first leg at Anfield three weeks ago, the Reds opened the scoring midway through the first half through a wonderful Sadio Mane finish. The German champions were given hope, however, when Joel Matip inadvertently turned the ball into his own net 12 minutes later, meaning the teams went in at the interval on level terms. 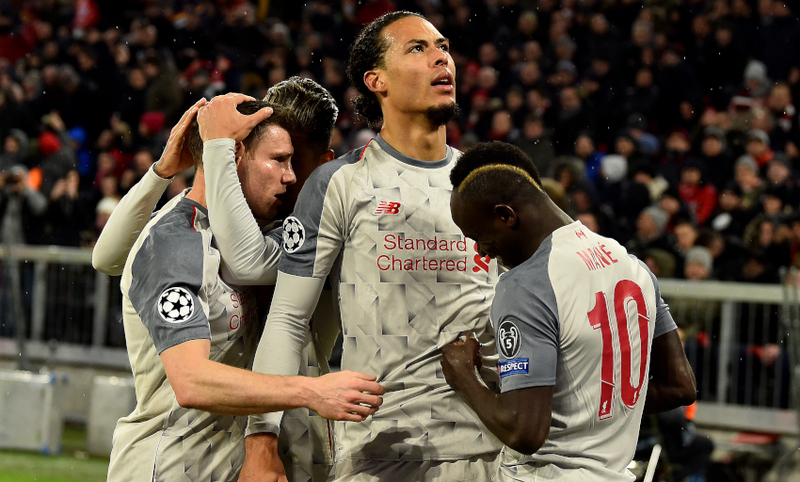 But it was to be Liverpool’s night at the Allianz Arena and Virgil van Dijk’s commanding header put them back in front before Mane glanced in a third late on. 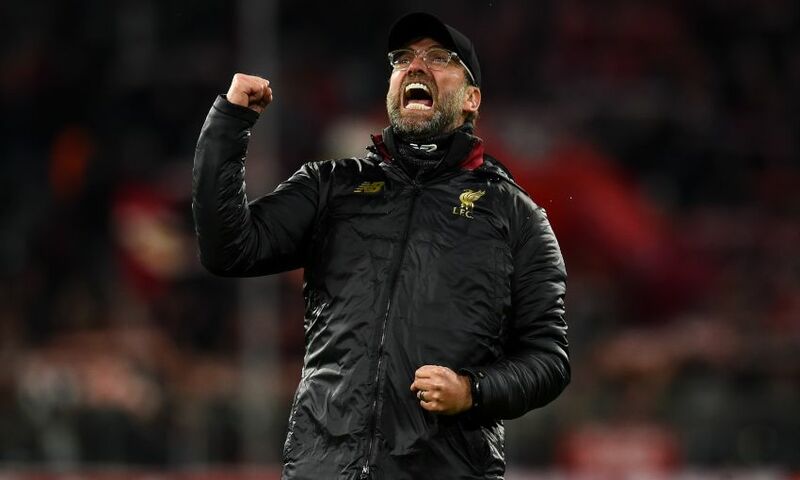 It propelled the Reds into Friday’s draw for the tournament’s last eight - and it was a performance Klopp was gushing with praise for following the conclusion of the contest. I see it the same like all the boys in the dressing room, like how everybody sees it who is with us: it is a big night. We had a change early and we wanted to play more football than we did in the first half, so we changed that for the second half and it was much better. We scored an outstanding goal in the first half - an outstanding goal, wow. Conceded one as well, but I think after 45 minutes everybody knew it will not be easy for Munich; it’s possible, but will not be easy. How I see it is that is important information in a football game for an opponent, who were full of confidence before the game. We had to try to impress and we did that. The second half, I was really happy - not only because we scored two goals, but because we played football - how mature it was, how strong we looked, how good we defended. Bayern have so much quality, unbelievable - they are quick on the wings, strong everywhere, hard challenges and all that stuff, good in the last line, sensational goalkeeper - and we impressed them. That’s a massive thing for us. It was brilliant. He was involved in the goal of Bayern as well, so what a night! What can I say? I could write a book about his skills, his strength, how much I like him, what a fantastic person he is. He is so young, already so mature, really strong, all good. Virg knows he can play better than he did tonight; we can play better than we did tonight. Tonight we played - especially the second half - as good as necessary and as possible. It is so important that you stay in a game, that you are really stable, that you really have real answers to all the questions, that you can change things, that you can use different tools. There was a pass from Trent in the second half that went through all three lines, more or less, to Bobby, he turned and he couldn’t finish the situation off but it was just [brilliant]. We had so many good football moments, especially in the second half, and I like that - that we developed in the game so much. It’s so important. It is a difficult place to come and not a lot of teams have on their cards an away win at Munich. We have that now and that’s cool. Difficult but cool. It is a different competition, a different moment, a different pressure situation. You have three or four days for a game like this and you forget the league in these moments. It’s not about scoring six in the last game, maybe there is a little feeling inside somewhere confidence-wise, but on the other hand they knew it was a different cup of tea tonight and that we are a really good opponent. That’s what we were. Scoring three here is really difficult, really difficult. Actually, we scored four because the other goal we scored as well! It’s massive, a big step for us - a big, big, big one for us. We will see what we can do with it, but it is still fantastic sign that we again set a mark for LFC, for this wonderful club, that we really are back on the landscape on international, top-class football. We all think that’s where this club belongs and tonight we proved it a little bit. In the moment, you can hear it, I am really happy about the result and the fact we are through. It is not that I expected it - I knew we had a chance, but I didn’t expect it would happen, that it really would work out. The boys made it happen and that’s brilliant, absolutely brilliant. Yeah, that’s what I mean. There are some places in world football that whichever team, if Man City comes here, if Barcelona comes here, if Real Madrid comes here, it’s not that they expect to win. They know it’s a very, very tough place to come. This club has always outstandingly strong football teams and they have now, but we kept them as often away from our goal as possible. I don’t know about the statistics but my impression was that there were not too many difficult situations in and around our box. That’s a massive sign, the first step to winning a game like this: it’s not about playing your best football, free-flowing, that’s not possible against this quality. You cannot use your speed, really, because the other team is quick as well. It’s not a massive advantage so you have to find different ways [and] tonight we found them. That makes me really proud and happy because I really think this club deserves the awareness again. We are back, so good. Let’s carry on. We have a lot to improve, we have a lot to develop, we have a lot to learn - but we are back, and I like that. That’s true. It is so obvious that I don’t have to speak about, he knows it, everyone knows it and I don’t want to speak about it… remind me after the season and I will sing my own song about him if necessary! It’s really good, it’s a good moment and long may it continue, that’s more my concern. I am not like this; it’s not sweeter for me because it’s Bayern. It doesn’t bring me back to the bad results in the games we played them and we lost. It’s just the situation in the moment: I wanted to win for Liverpool and not to beat Bayern. That doesn’t bring me anything, so it’s just a good moment for Liverpool and let’s enjoy that.